Welp,no sense in ever coming to this site again. The ads and pop-ups have become completely overwhelming,intrusive,and completely ruin the experience. They cover the pictures and make it hard to see the reason I come here in the first place. The houses. The same goes for Tiny House Listings as well. A completely annoying way to waste time . Never again. And I’ll be passing these sentiments along. If I ever get any spam from this site,I’ll report it right away. Too bad, you had a great thing going and completely destroyed it. Never again. I “hear” you and I understand your grief (not to say probable anger). You know what ? I visit both those sites you mention along with others like Small House Swoon and I can assure you, not one pop-up or add ! Zero, nada , nothing !! How ? You guys complaining about all the pop-ups if you have google just use add blocker that will take care of your problem. 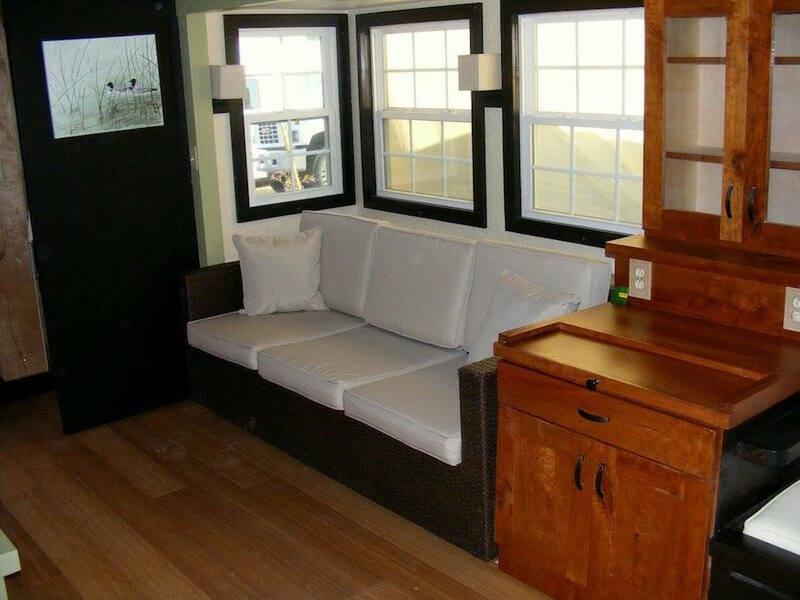 As for this tiny house I absolutely love it! This is my new favorite. 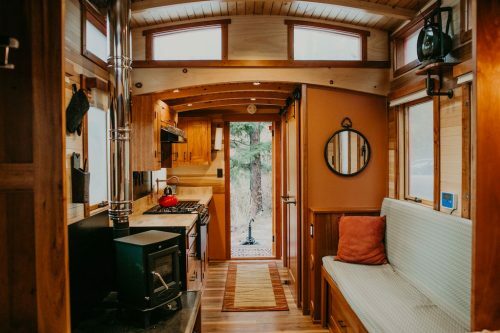 I saw it on TV on Tiny House Hunting, I think. Great use of space and I like the bed on the first level. Very clever design and very well done overall. Finishes are a notch above. Love it!!! The functionality of the slider and storage is very attractive. Minor tweaking could make this a mansion for me. I like the DW option. and I would want the laundry option also. This is finished beautifully. 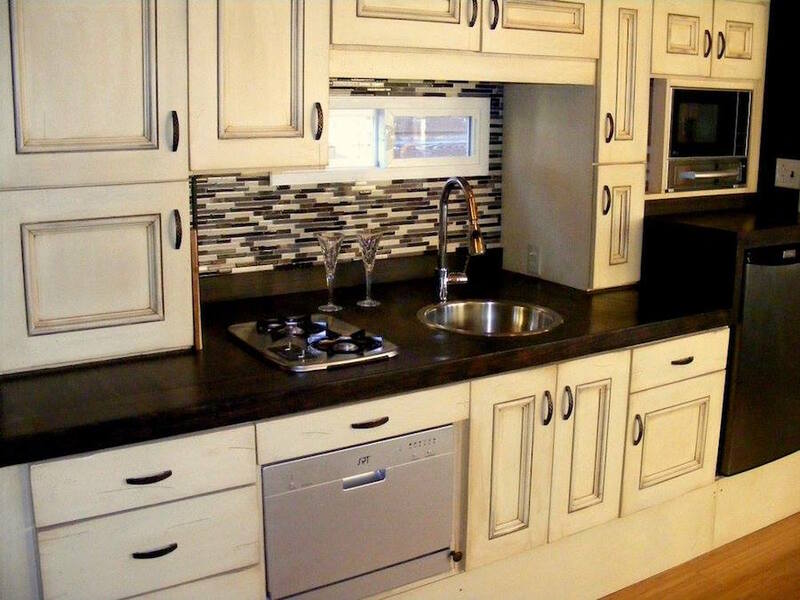 I can never understand stocking a kitchen with such an ample amount of storage and then installing a tiny round sink though. 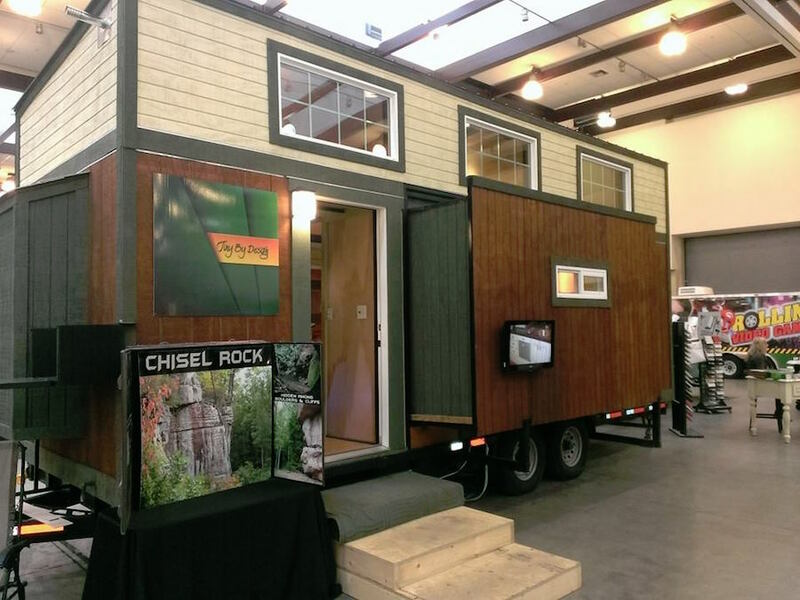 I like the pull out bed and closet- a lot of typical tiny house inconveniences have been addressed in this model, and that’s impressive. 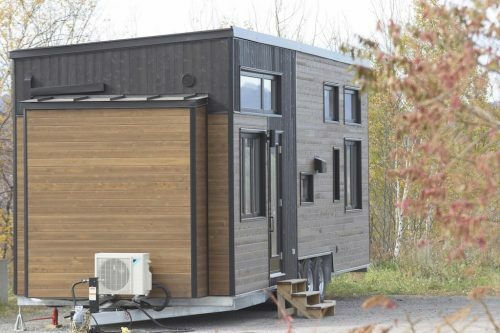 I just saw this on HGTV tiny house hunters possibly 3 hours ago. Randomly, I followed a couple Pinterest clicks and landed here! What an awesome design, very nicely done. This should be a example for the industry you haul around to exhibit! A question I have is how well does the slide insulate from drafts and the elements altogether? OH the horror! Oh the blasphemy! 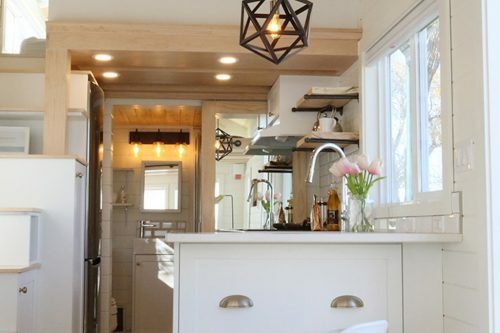 Someone put upper cabinets in a tiny house. 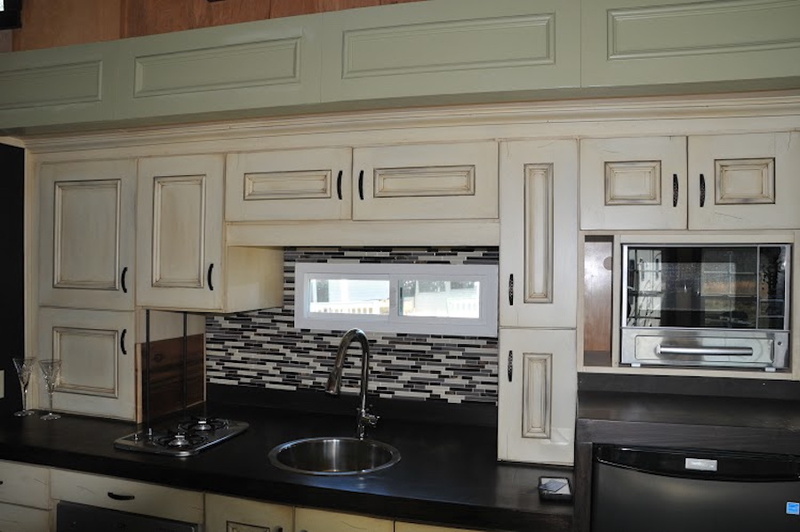 This design proves that you can do upper cabinets without it feeling claustrophobic. What a great design. My only critique is with the mix of finishes. 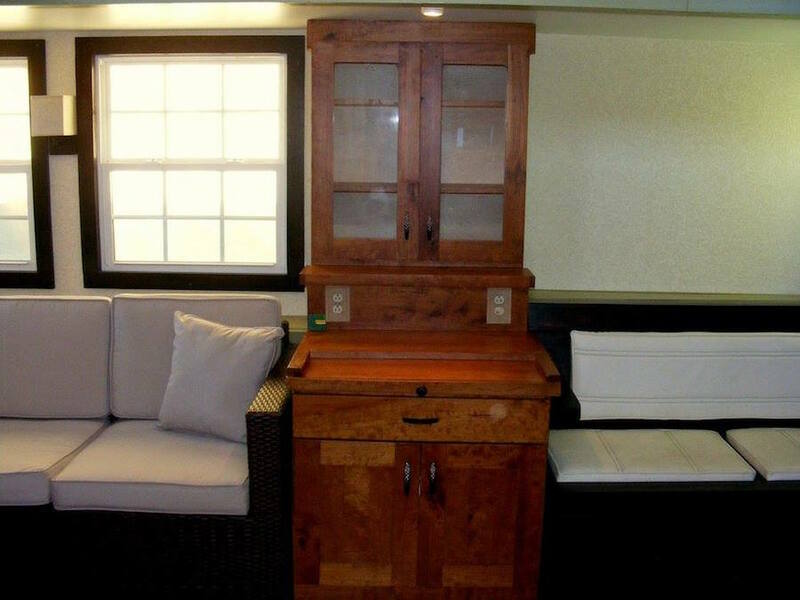 The cabinets are great, but then you have the built in couch in black and the “secretary” in natural wood. 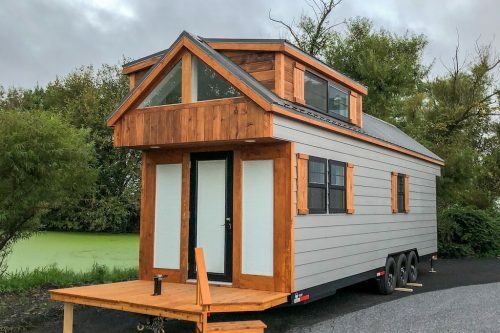 In a space this size I would definitely try to tie the finishes together better/limit the palette, but other than that, I love love love this tiny house! 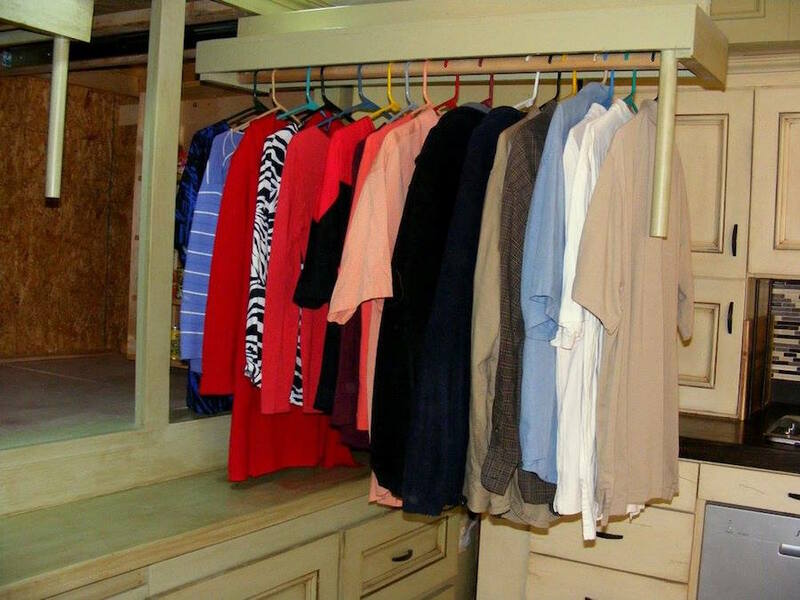 The pull outs for dining, sleeping, and storage are amazing. I’m assuming that loft space could hold another bed as well? ha ha, I agree with it all. 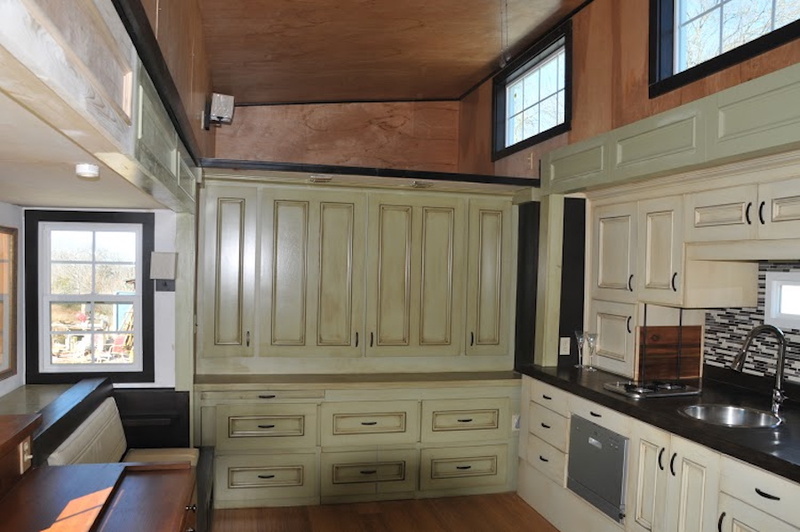 You can put up cabinets in if you dont build you kitchen under your bed. Some great ideas. Styling a bit too busy for me. Otherwise well done. So far, my favorite little house to date!! I love the pull-out bed under the closet. I also like how it just looks like a tiny version of a regular house rather than a shed. 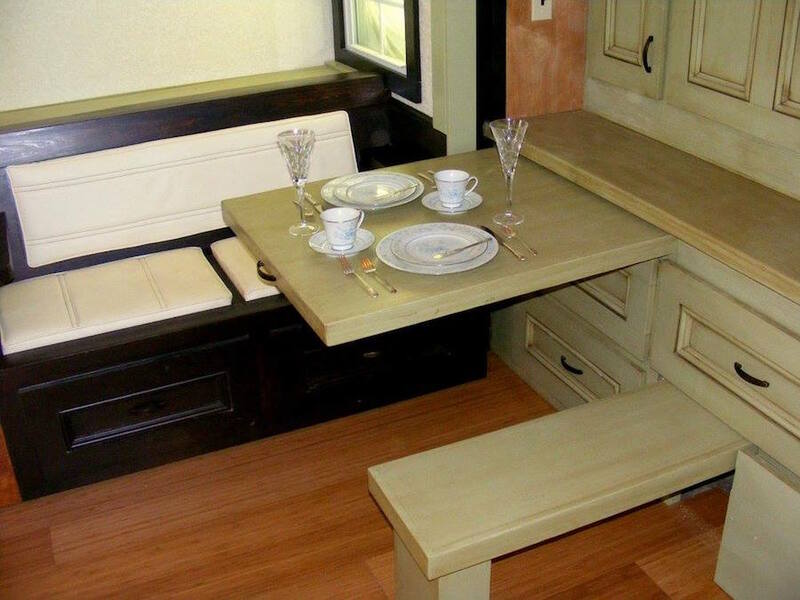 Creative design with the bed, But the mixes of woods and furniture styles is a bit confusing.